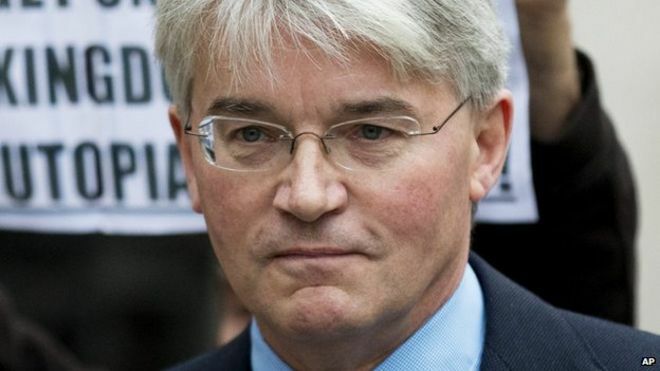 The police officer at the centre of the “plebgate” row has accepted £80,000 in damages from Conservative MP Andrew Mitchell. A judge ruled last year the MP probably had called PC Toby Rowland, an officer on duty at Downing Street’s gates, a “pleb”. A judge said he had reached the “firm conclusion” that Mr Mitchell had used the “politically toxic” word “pleb” in September 2012 when he was not allowed to cycle through the main Downing Street vehicle gates. PC Rowland’s lawyer, Jeremy Clarke-Williams, told Mr Justice Warby that since that judgement Mr Mitchell “has abandoned the other defences he had raised to my client’s claim and consequently terms of settlement have been agreed”. The solicitor added: “The payment of £80,000 damages by Mr Mitchell sets the seal on PC Rowland’s vindication, as well as providing compensation for the injury to his reputation and the distress caused to him and his family over many months. “PC Rowland never felt that the events in Downing Street were anything more than a minor incident. “He was not responsible for the publicity which followed and would have much preferred that the whole matter had never entered the public domain. The story was splashed across the front page of The Sun, which said the chief whip swore at the officers and called them “plebs” who should learn their place. Mr Mitchell admitted swearing but denied using the word “pleb”. PC Rowland then launched a libel action against Mr Mitchell, claiming that his reputation has been damaged by the MP’s remarks and that he suffered “great distress, humiliation and upset”. Weighing up the competing claims, the judge said PC Rowland was “not the sort of man who would have had the wit, imagination or inclination to invent on the spur of the moment an account of what a senior politician had said to him in temper”. He added that gaps and inconsistencies in PC Rowland’s account did not demonstrate he had fabricated his account, as Mr Mitchell’s lawyers claimed. A Scotland Yard diplomatic protection officer has been jailed for 12 months after admitting lying about the “plebgate” incident. Wallis and three other members of the Metropolitan Police’s elite diplomatic protection squad have been sacked for gross misconduct in relation to the “plebgate” incident and its subsequent leaking to the press. Separately, the Independent Police Complaints Commission, has launched an investigation into three officers – one each from from the Warwickshire, West Mercia and West Midlands forces – over an account they gave of a meeting with Mr Mitchell at the height of the affair. Client. Sedibelo Platinum Mines … Acquisition of Umcebo Mining. R2 billion … R625 million. Arranger and Debt Provider. Lonmin. Revolving Credit Facility. 7 May 2015 – Lonmin is proposing to cut 3,500 jobs from its South African workforce in one of the … reduction in capacity, to fix that,” says Marc Elliott, an analyst at Investec. … for the “basket” of platinum and associated metals that it mines. 25 Apr 2016 – Investec reaffirmed their sell rating on shares of Lonmin Plc (LON:LMI) in … has a GBX 29 ($0.41) price objective on the mining company’s stock. 19 Nov 2015 – Lonmin seeks $400 million to survive low prices* Priced the rights issue at 1 … InvestecAsset Management now has a “negligible” stake, down from 5 … will find it unappealing, given the high-cost mines that the firm operates. Nelson Mandella and the ANC. Rolihlahla Mandella was born in Transkei, South Africa o n July 18 th 1918. The name Rolihlahla translates as ‘troublemaker’ but little did anyone know what a profound effect his name would have on the world. Mandella’s father Hendry Mphakanyiswa of the Tembu Tribe was set to become a chief but lost his status and fortune over an argument with a local colonial magistrate. Mandella went on to be baptised in the Methodist Church and consequently became the first of his family to attend school. It was also at this time he was given the name Nelson. Mandella decided he wanted to fight for anti-colonial politics in his 20s,and he joined the African National Congress (ANC) in 1942. He became a founding member of the African National Congress Youth League (ANCYL). In 1949, the ANCYLs methods of; boycott, civil disobedience and non-cooperation replaced the polite manner of the ANC in opposition tothe National Party’s apartheid policies. The objective was to gain full citizenship, redistribution of land and free education to all people of South Africa. The racist policies of the South African government were continually fought by Mandella. The defiance campaign in 1951 aimed toget citizens involved in non-cooperation of unjust and discriminatory laws. It stated that all people […] irrespective of the colour of their skin, who have made South Africa their home, are entitled to live a full and free life. began to think that a more forceful approach would be needed to achieve change. with force towards the government if no action was taken to end apartheid.The Umkhontowe Sizwe was quickly branded a terrorist group by the South African government. Mandella’s involvement in this group was well documented and in 1961 he ordered a three day national workers strike, for which he was arrested and sentenced to five years’ imprisonment. r and achieve. But if needs be, it is an ideal for which I am prepared to die. and consequentlybecame South Africa’s first black president at the age of 77.